Anyway, here it is. 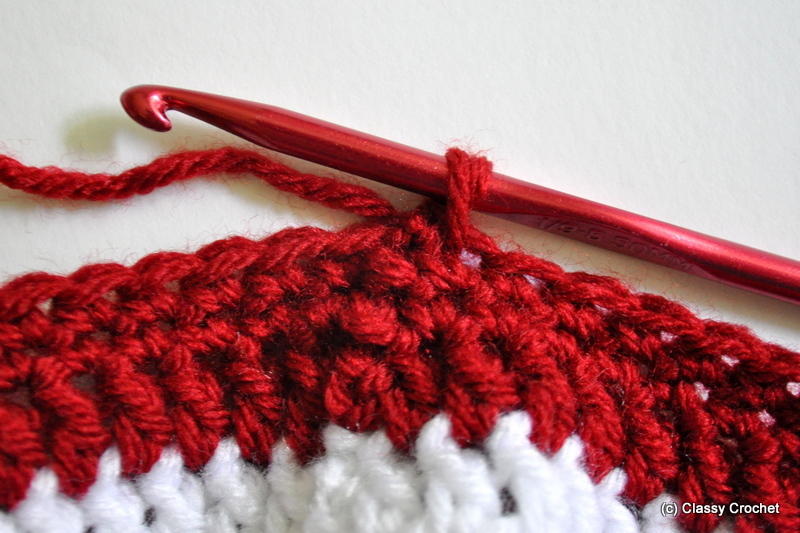 Before we start, I just want to summarize the stitch so you don’t think it’s anything fancy or new: you are sc (single crochet) as you normally do. You’re just going in the opposite direction. Got it? Instead of sc right to left, you are sc left to right. That’s all. No fancy loops, turns, nothing. Also, from what I can tell, reverse sc is usually reserved for a border. 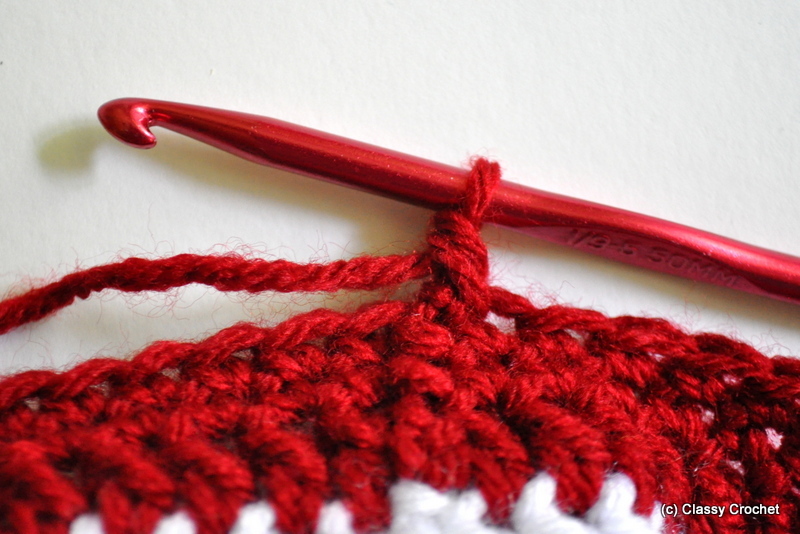 Since you’re going in the opposite direction, your stitch definition is kind of lost. 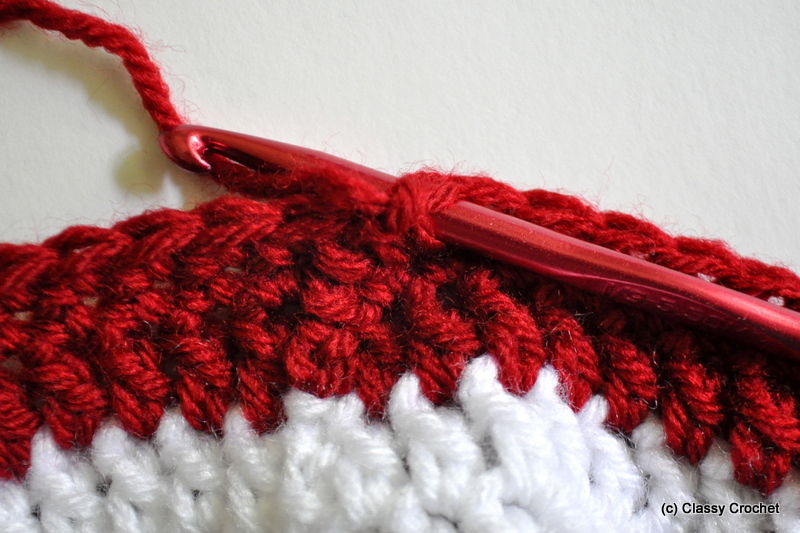 I mean, if you wanted to go all crazy and creative you could probably continue to add stitches, but in my little world, it’s a border, and a nice corded one at that. The end. Start your row by ch1 as per usual. Do you see the black arrow? This is where you’ll go in your next stitch. Yarn over and draw loop through. Completed reverse sc. Remember: you just did a regular sc. You just did it in the opposite direction. Once your brain wraps around this, it’s really, really easy. 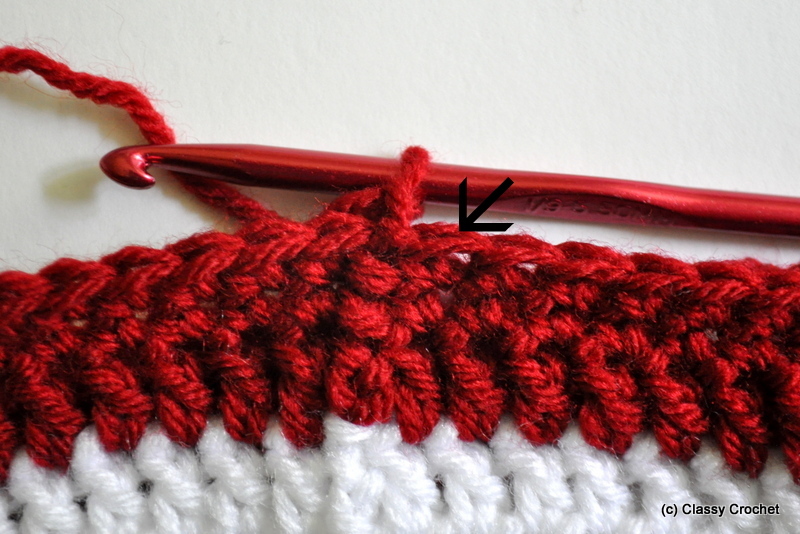 It takes a few stitches before the ‘pattern’ of the reverse sc appears. 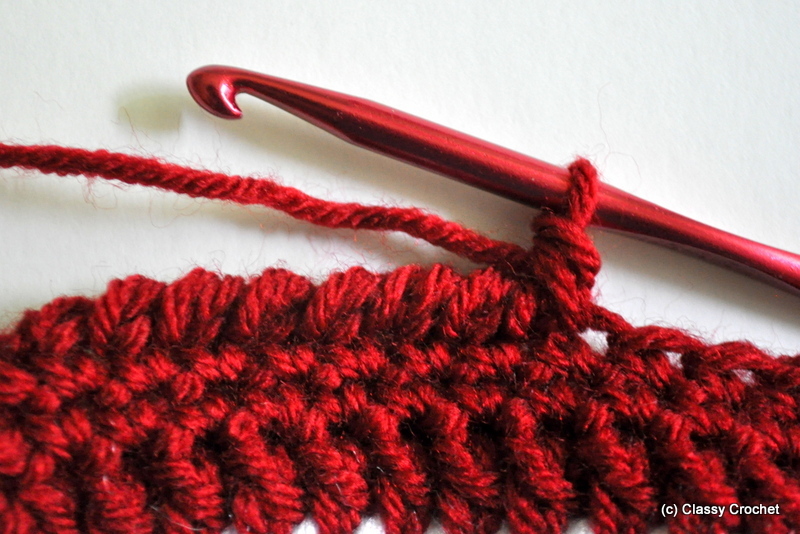 Your yarn will sort of slant towards the right as you go. Keep your tension even the way you would a regular sc – don’t freak out and pull too tightly. You’ll use a little more yarn than a regular sc due to the opposite direction and added ‘distance’ to travel, but I like the results. Happy stitching and if you have any questions, leave them in the comments!